It’s been a good year for biblical movies. “Exodus: Gods and Kings” is the last major biblical film to hit theaters this year, with “Son of God” and particularly, “Noah,” making waves earlier on. The first two films met many expectations, yet surprisingly, the third falls short. Advertised as a biblical epic, “Exodus: Gods and Kings” has issues with characterization, pacing, as well as wardrobe. In contrast with 1956’s “The Ten Commandments” (starring Charlton Heston and Yul Brynner), “Exodus: Gods and Kings” is shorter, covering less of Moses’ life. Directed by Ridley Scott of “Gladiator” fame, it takes a much more unconventional approach to a well-known story. So which does “Exodus: Gods and Kings” resemble more: Cecile B. DeMille’s epic or Scott’s 2001 “Best Picture” Oscar winner? “The Ten Commandments” is the standard by which any film about Moses should be measured, and is probably the best known religious film alongside the 1959 “Ben-Hur.” “Exodus: Gods and Kings” (not to be confused with the 1960 film “Exodus,” about the founding of the state of Israel) like “The Ten Commandments,” focuses on the extra-biblical side of Moses’ life. There are a few themes present in “Exodus: Gods and Kings” that might be a homage to those same extra-biblical themes, such as an exchange where Moses asks Ramses to improve the lives of the Hebrews and pay them wages. But that is where the similarities end, with even some biblical story elements missing. The question of why they were not included is that they probably are not realistic enough to fit into the feeling of the movie. The film tries very hard to be faithful to a realistic approach, becoming a battle between Moses and the Hebrews versus the Egyptians. The film attempts too much, and ends up not progressing much in any one area it tries to tackle. It all begins with a prophecy, that God has not forgotten his people. After a few epic CGI renditions of Memphis at the height of its glory, Moses (Christian Bale), Ramses (Joel Edgerton), and his father, Seti (John Turturro), are sitting around a table, arguing about going to war with the Hittites. The film unveils a theme of prophecy all throughout the film. A goose is dead on a table, with an Egyptian priestess looking through the entrails to divine the future. “In a battle, a leader will be saved, and the savior will one day lead.” The context of the scene gives rise to a poorly handled question of the nature of how the divine works. “The entrails imply, we simply interpret,” she says. The discussion bounces between the plagues being natural occurrences and then veering off into God being responsible. It is almost a chicken and egg question: are things so wonderful that people say God did them, or did God do them so they are miraculous. God also physically manifests in the film as a vulnerable child. “And the Angel of the Lord appeared to him in a flame of fire in the midst of a bush” (Ex. 3:2). The child comes close to uttering the film’s only line from the Bible, saying, “I am” and then softly, “I am.” For whatever reason, there is a serious lack of actual biblical conversation among characters. The film’s commitment to realism ends up taking away from the experience of the movie as a biblical epic. The cry to “Let my people go” is also missing, alongside the snake battle that might be laughable now, but was a triumph of special effects for its time. The scene with God at Horeb is the only one that should have been unquestionably divine, but it only happened because Moses had fallen and greatly injured himself, with Sephora telling him that he was just seeing things. Later on when Aaron spies on Moses arguing with God, he sees the Bible is ultimately a story of God’s works, which can make for great storytelling, but for a scriptwriter it may be the most difficult thing to quite literally have deus ex machina happen every 20 minutes. The play between the natural and divine is shattered by both Moses and God ending up trying to steer the wheel at the same time, rather than sharing responsibility. God rarely ends up acting through Moses, and when Moses asks for help for the first time, God ignores him. Their relationship is schizophrenic at its worst, and grudgingly cooperative at best. The ten plagues and parting of the Red Sea also have the natural/divine dichotomy all throughout their occurrences; the only ones that are unquestionably divine are the deaths of firstborn sons, the transformation of night into day by God, and the parting of the Red Sea. The Red Sea parting ends the chicken and egg question, in a spectacular way. 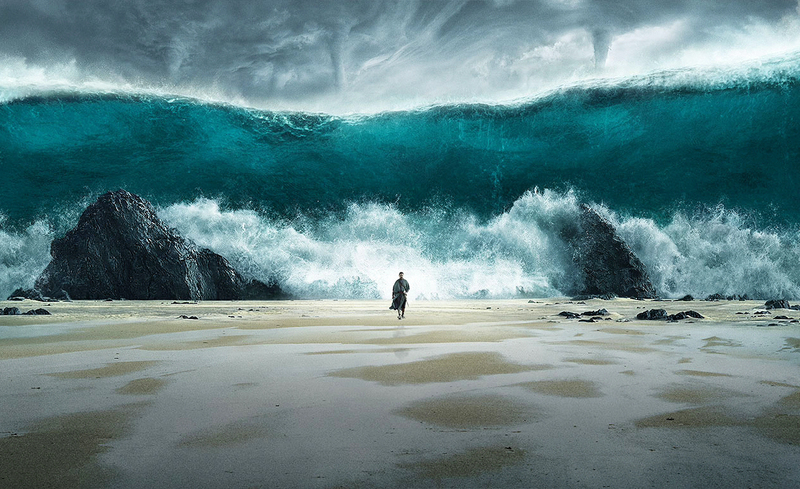 The official trailer for “Exodus: Gods and Kings,” courtesy 20th Century Fox. In terms of a story, there are many layers going on at the same time: Moses’ personal growth, the Hebrew and Egyptian battle, and a biblical story. Some sections of the film are too long, while others are incredibly short, included for the sake of accuracy rather than to introduce anything new. The relationship between Ramses and Moses is also somewhat weak, their bond not explored, which makes the rest of the film much more disappointing. In reality, it is a close replication of the dynamic in “Gladiator” between Commodus and Maximus, but Ramses does not kill his own father. There is some tension between them caused by the prophecy, but at the start of the film both do not care much for prophecies, and are mostly presented as somewhat faithless men. Power somehow corrupts Ramses, but it is not clear how that came to be other than pride being a simple explanation. The visuals in the film are amazing, to the point where most of the underlying themes of the film became apparent only after a second viewing. Visually it goes for a larger than life approach, with lavish costumes for the Egyptians and Bedouins, and amazing plagues. Overall, “Exodus: Gods and Kings” is a good film but has hiccups and drags on for a bit too long. The way religious themes are handled makes it clear that the film is not particularly aimed at a religious crowd; rather those themes are part of a larger package looking at a story that tries to be about much more than one person. Ridley Scott reportedly wants to release a four-hour “director’s cut” of the film, and hopefully it will add some depth to the film, balancing the way it goes through Moses’ story with substantial detail. Exodus tries to be “Gladiator” and “The Ten Commandments” at one time, failing because one demands an aggressive main character and the other needs a person who loves and obeys God. 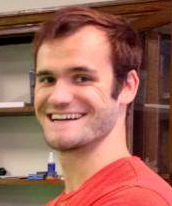 Andrew Stewart is a student at Barrytown College of UTS and shows movies weekly for its film club. He spent most of his childhood in Russia, Venezuela and Ukraine, and currently lives in Canada. 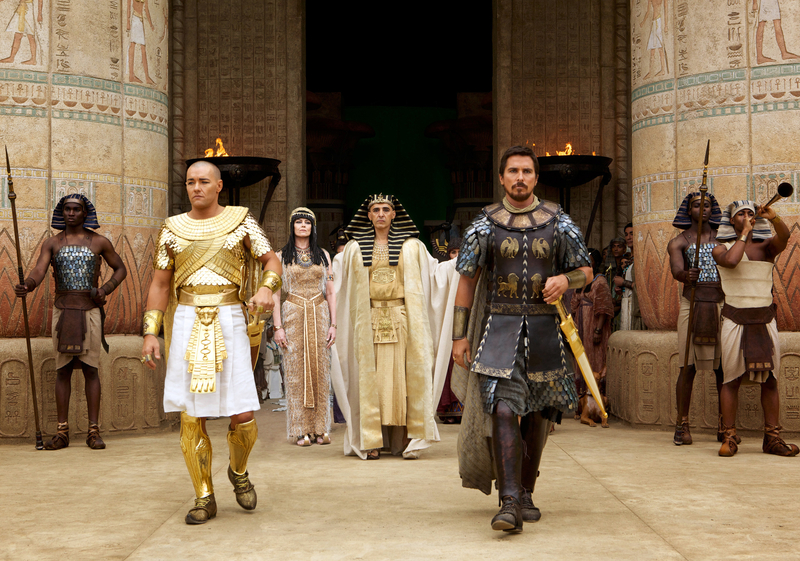 Still photos from “Exodus: Gods and Kings” courtesy 20th Century Fox. I’m not sure what to make of this, given the very first paragraph. “Son of God” was a good movie. But was the recent “Noah” a good movie? I was saddened how far it diverted from the Noah story in Genesis. So if the author had no problem with the Noah movie regarding the Bible, what would his opinion be regarding the “Exodus: Gods and Kings” movie? I’d like to reply to this comment, specifically the criteria by which I judged that “Son of God” and “Noah” were successful, and why I thought that “Exodus” failed. The first thing that I would like to mention, and which I did not include in the review due to focusing specifically on “Exodus” was that I wanted to judge the films based on each director’s previous works, and other films in their biblical veins. For “Son of God,” I was thinking about it in contrast to “The Passion of The Christ” and “The Last Temptation of Christ.” I try to allow directors space to make artistic choices about Bible narratives, so long as they are done well. I thought “Son of God” was a good movie about Jesus, portraying Jesus in a traditional “biblical” way. “Biblical” implies that Jesus was acting as a conduit of God, and “The Passion of The Christ” is a film that also uses this particular characterization of Jesus. Generally the problem of creating biblical films is that the main characters have to be aligned with God’s will, since the Bible is largely a book about God and His various works. Unfortunately, this does not always come across as good writing, and is generally harder to write characters’ motivations when they are being guided by God already. How will this Jesus get out of this sticky situation this time? Well, God helps him. What will Jesus say to this morally despicable person? He will embrace him the way God would. There are ways to do deep and serious religious films, but they take effort and I can appreciate films that avoid that quagmire (“Exodus” did not approach the question of following God’s will in a way that I found either emotionally or intellectually compelling). Finally, considering that it was the first time that Christopher Spencer had broken away from a documentary style film into the dangerous realm of biblical epics, it was a fair effort. In contrast, “Noah” is the main character aligned with God’s will in Aronofsky’s version, but God is largely silent in crucial moments that define Noah’s morality. Andrew Wilson’s review of the film hits on some subjects that I resonate with, such as the portrayal of Noah as limited in his connection to God. Noah constantly looks to God for answers, and mostly knows God as a being of judgment. “Noah” had nuances as a film and specifically referring to Wilson’s ideas, showed the limits of certain ways people think about God — in “Noah” this means specifically thinking about him as a being incapable of loving humans — that draw away from a complete picture of him. “Noah” is much more nuanced as a film only because it broke away from the traditional story in such a serious way, which allowed characters space to grow and be interesting. “Exodus” does neither of these two biblical styles well, resting in a strange middle zone that is frankly not what I expected from Ridley Scott, who I respect for his excellent directing on “Gladiator,” “Blade Runner” and “Alien.” The rest of my critique is in the review.